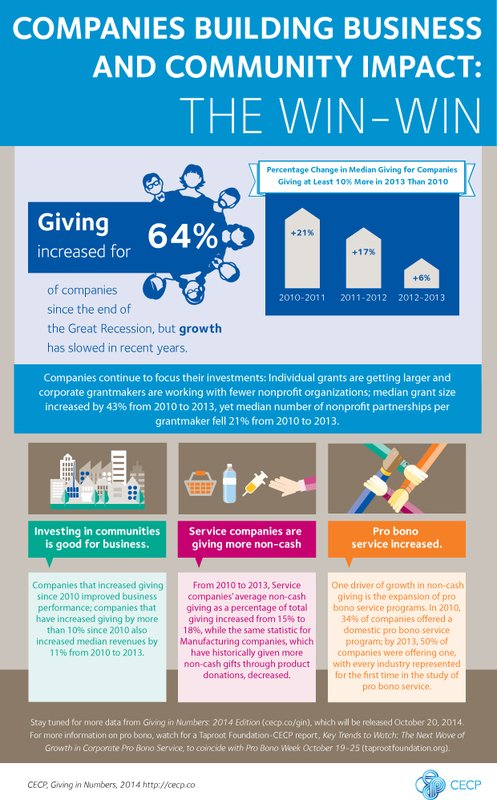 The CECP Giving in Numbers: 2014 Edition looked at what’s happened in corporate philanthropy and employee engagement programs since the end of the Great Recession in 2009. The report, created in association with The Conference Board, analyzed trends and giving behaviors (from 2010 through 2013) for 261 of the world’s leading companies. Key finding: 66% of companies increased giving as a percentage of revenue, demonstrating that engagement is widely considered sound business strategy. attended the CECP Summit last May ranked Volunteer time off as the most effective motivational tool for increasing employee satisfaction. How does your company’s giving match up to these findings? Do any of these trends surprise you? Leave us a comment below with any thoughts you have. Don’t hesitate to contact us if you’d like to explore new ideas or discuss your giving programs. 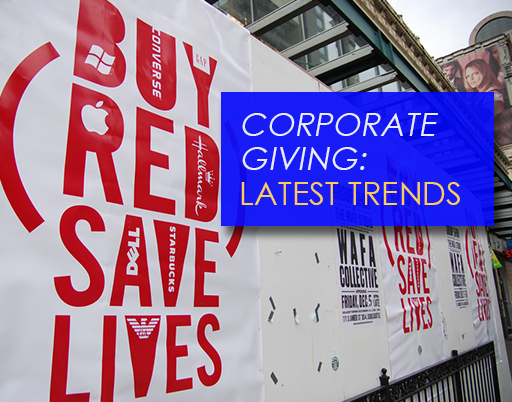 For more Giving in Numbers details, download the 54-page report.